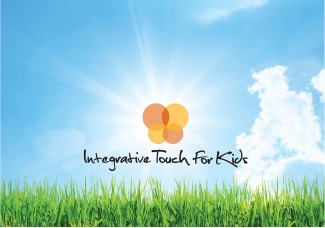 Integrative Touch for Kids Healing Arts Practitioners: Healing Circle 10/14/18 - Healers Sign Up! Healing Circle 10/14/18 - Healers Sign Up! Hello, You Beautiful Healer You!! We're so happy you want to serve as a Healer for a brilliant afternoon of family wellness!!! You'll be providing much needed support for children with special needs, their siblings and caregivers - all the while having a splendid day of healthy, restorative fun! - ITK will provide chairs, lotions, music, and a calm, peaceful ambiance. Healers are asked to bring massage tables, 2 sets of sheets, 10-15 face cradle covers, special equipment, & any magical healing tools necessary for creating a spectacular treatment! - Upon arrival Healers will deliver their handy dandy supplies, sign-in, watch a short video, and gather to hear details about the event. - Therapists at this event will be serving people of all ages and abilities. Some of the children will have significant health and medical needs. They may be using mobility, respiratory, and/or feeding equipment. Each participant will be wearing a lanyard that will provide any contraindications for treatment. As such, always consult a recipients' lanyard prior to providing treatment. In regards to treatment - less is always more. Gentle and compassionate therapeutic intervention are always the right choice in this environment. We will have members of our Medical Team present in case the need arises. - Groups will enter the community healing room where you will be providing treatments. Facilitators will match up family participants and practitioners. As sessions are completed, participants and practitioners will be re-matched. The recommended treatment time is 15-20 minutes, so that each group (of kids, moms, and dads) will be able to try multiple types of therapies within each healing block of time. There will be plenty of breaks, snacks, and self-care time for all!!! - At the close of the event, we will hold a closing ceremony to complete the experience. There will be snacks, tea, and an opportunity for you to connect with your fellow practitioners. Then you'll pack your belongings, help us return the healing room to its natural order, sign-out, and enjoy the rest of your weekend!